Paul and Violette Bridgman ask prayer for the new pastoral candidate to be accepted by the congregation and start serving at Sakuragaoka Church in April. The pastor who has been preaching once a month is now in the hospital following a mild stroke, which means Paul and the leadership team must take over more teaching responsibilities. Pray for the church as it goes through this transition, that the word of God will continue to penetrate hearts in spite of the circumstances. 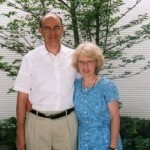 For more info on Paul & Violette’s ministry, see page 49 of the prayer guide.